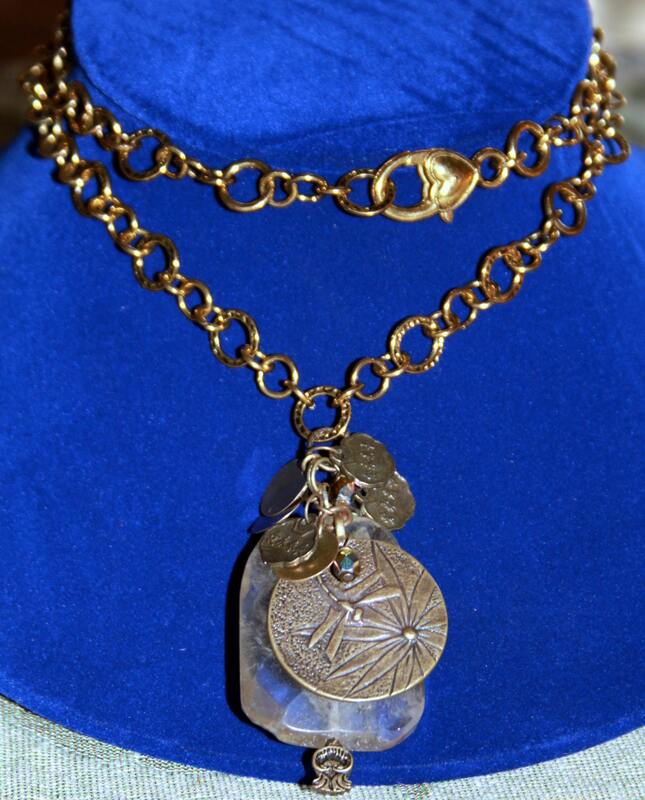 This necklace is made with a large, irregularly shaped and faceted quartz crystal @1" x 2" on a soft antique brass linked chain. The center piece is a brass coin with a dragon fly and flower with Chinese coins and seed bead drops. It has a brass heart shaped lobster clasp and hangs @ 15" from the back of the neck.